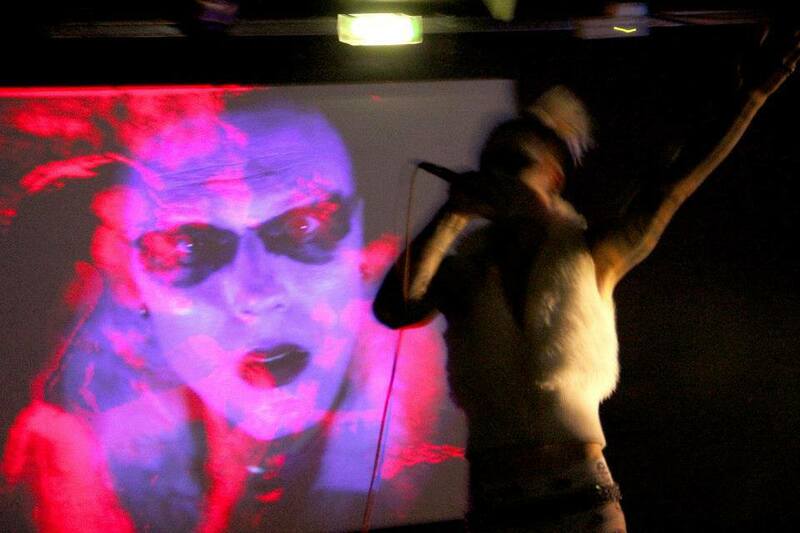 Nihilista is a super-mega-multimedia project. As a creative conglomerate was born in London. Penetrating life of this ancient city it sweeps past through local fartsy-bohemia, collectors of military- memoriblia, social circuits of pervs, buzzing squaters, hidden in paranoic shadow occultists and music producters only to bypass them and move forward. After some time, the project grows, become self-aware and independent from its creators. They watch how their disobedient child becomes a free spirit. It becomes a place where three persons, similar to alchemic components, clash in a weird spectacle. It becomes a moment, “right here, right now” state. Exactly this moment where border with audience blends, like adding Albedo, via spontanic interaction with public, is when gold appears and chaos invades the stage. It reminds itself, as it was always there and we are only swirling atoms, and not even them, in fact, we are just the space between them.